City-wide, median (and average) prices are not back to old highs. The number of condos listed for sale has remained steady. Condo sales volume peaked in 2013. We are now below 2010 volume. The aggregate value of all condo listings keeps growing. Sales volume growth turned negative in 2013 and aggregate listing value spiked. The dollar spiked in 2013, the same year that Miami condo sales volume started to decline. 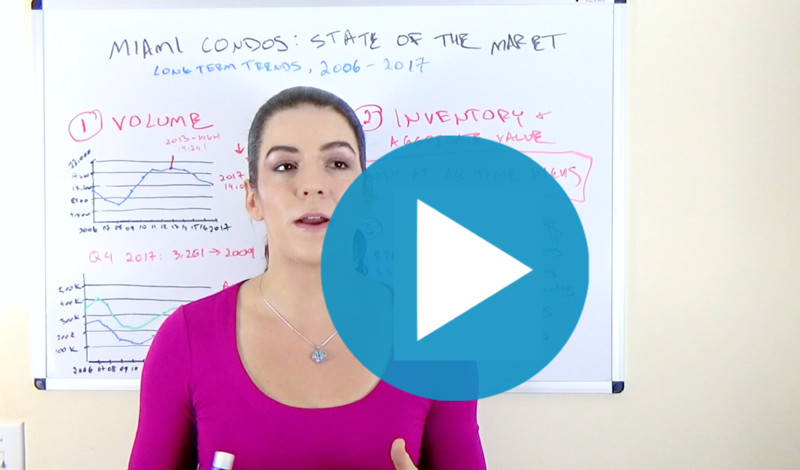 To understand where forces are pushing the Miami real estate market, it is important to know the current relationships between the supply, price and volume curves. Where has the Miami Real condo market been and where is it going? The chart above shows the median price for a condo in Miami-Dade. Prices are annual averages, except for 2017 where I charted the Q1 median. The average and median price charts follow the same pattern. I charted average condo prices in a previous post. Miami condo prices are only 84% of the way to 2007 median levels and 93% of the way there for average prices. NOTE: values shown in the charts are not adjusted for inflation. Adjusting for inflation would make the charts even more dramatic as the the USD has had over 17% cumulative inflation since 2007. 2The number of active condo listings is steady. 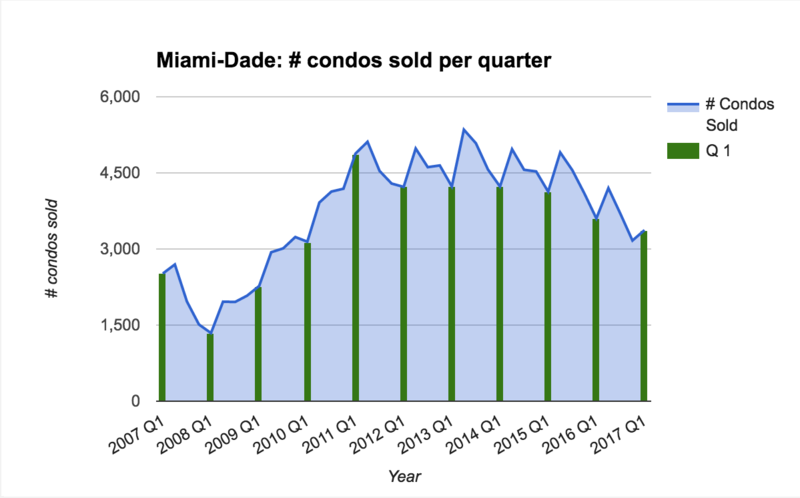 The chart above shows the the number of active Miami-Dade condo listings in any given year. As you can see, after a spike in 2008, the number of active condo listings is holding steady. The increase is very gradual. If all you saw were these first two charts, you would think Miami condo market is in great shape. We see a steadily climbing median price and a stable total count of active listings. So where’s the problem in the Miami condo market? Not coincidentally, the US dollar spiked in value against all the currencies that buy in Miami starting in around 2013. 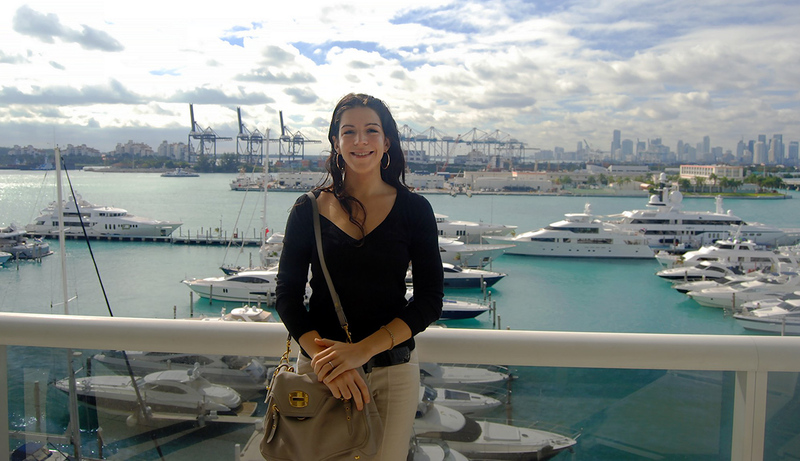 In Miami, the higher up you go in price, the greater the fraction of foreign buyers. So it stands to reason that a spike in dollar value could adversely affect Miami condo sales. Going back to 2007, we see that the dollar is over 300% more expensive in terms of Venezuelan and Argentine pesos. That makes Miami a whole lot less affordable for those buyers. I charted the USD against the five major currencies in an earlier post. On a positive note, the dollar is off highs. Also the resource and emerging economies that tend to send us buyers had market lows back in the end of 2016. Brazil’s stock market has more than doubled since and Russia is up 80%. Continued improvement in those markets may help out the Miami condo market. INSIGHT: Q2 is the strongest quarter in each year. Unfortunately, April 2017 was disappointing in terms of sales volume. We’ll see how the rest of the Q2 shakes out. 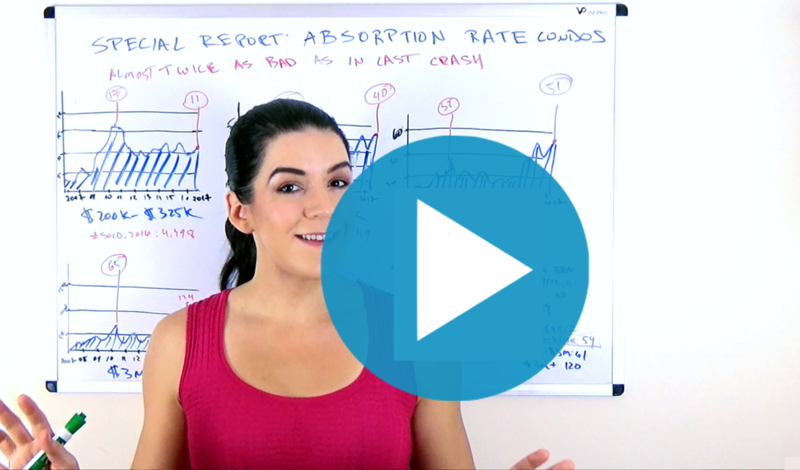 4Total dollar value of active listings is rapidly increasing. This is the particularly scary chart. Notice that the slope increased 2015-2016. The bubble is in the high end. This is why we are seeing an increase in dollar value of all listings while the quantity of listings is steady. Miami condos that are accessible to the local population, at price points supported by the local economy, are transacting. Conversely, properties that rely on money from elsewhere are seeing massive buildups in inventory. Inventory is still climbing while sales volume is dropping. I do not see how this cannot in result in further downward pressure on luxury pricing. In the chart below you can see how in 2013 the volume curve went negative while the value of all listings on the market increased in growth. This is obviously not a good thing. Really quite a lot of wonderful material. Seriously tons of very good tips. Wow all kinds of superb info! Terrific tips. Thanks a lot!